As a grantmaker, you wield great power: the power to craft social change by re-distributing resources to make it happen. But amid the challenge of designing and managing grant programs, and helping assess a vast number of applications and acquittals, all the while navigating tricky politics, technology and finances, it can be easy to forget why you took on this gig. At the Australian Institute of Grants Management (AIGM), we're dedicated to making your job easier and more effective by bringing you specialist knowledge from the field – and helping to prevent that blank look. • find out why grantmakers must become expert in impact and outcomes measurement. And that's just the start. Tap into our knowledge base any time – our library of back issues and the latest tools, resources and grantmaking news – by visiting exploring this website. The quarterly publication is just one of the benefits of membership of the Australian Institute of Grants Management. 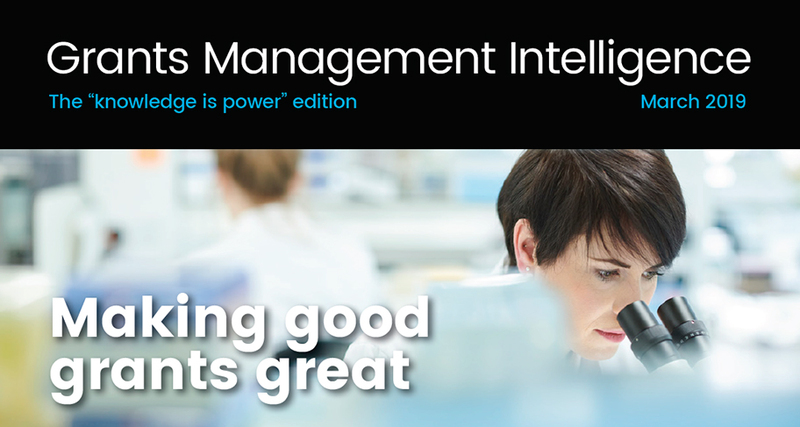 Learn more about Grants Management Intelligence and become a member here.